Marcel Halstenberg was one of the candidates for bundesliga.com's left full-back of the first half of last season. Bundesliga debut at 25, first Germany cap one year later? It may sound like fantasy, but for RB Leipzig's Marcel Halstenberg, it is anything but fiction. 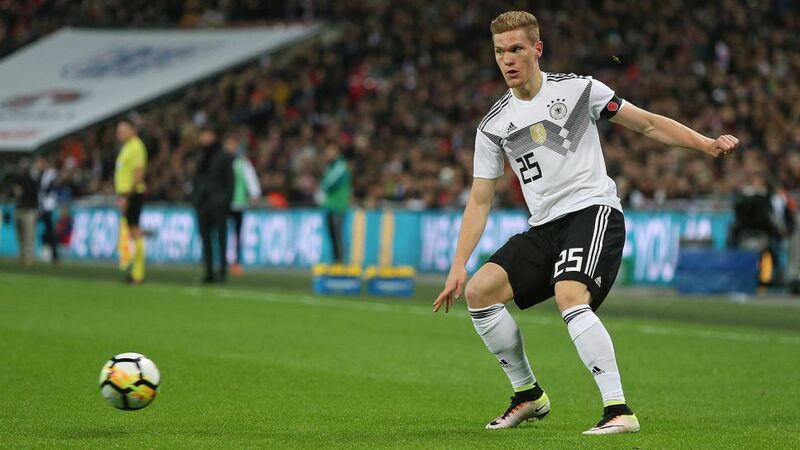 The Leipzig full-back made his first start for Germany in Friday's goalless draw with England on Friday,, just over a year after appearing for the first time in Germany's top flight. Joachim Löw is likely to take a closer look at one of the pillars of Leipzig's rise from Bundesliga 2 to UEFA Champions League when the World Cup holders face the Three Lions and France over the coming 10 days, giving the full-back an opportunity to stake his claim for a place in his World Cup squad next summer. The rise to the ultimate stage in world football is continuing for a player who has followed an unorthodox path to get there. Formerly a forward, he reverted to the role of central defender at Hannover and that is where he caught the eye of Borussia Dortmund scouts, who saw the then 19-year-old as a candidate for their first team in years to come. "He wants to catch Jürgen Klopp's eye and we expect him to do so, because he's big and fast," said Lars Ricken back in 2011, when he was head of Dortmund's youth academy and Klopp was coaching the Westphalians' first team to a Bundesliga and DFB Cup double. Champions League football was the next step in Halstenberg's steady yet remarkable rise, and now he has tasted Europe's elite club competition, the world's his oyster. "Jogi Löw called me at 10:30," said Halstenberg of the phone call he had waited 26 years for. "This is the ambition of every child, and I'm so happy and proud about it. I'm just going to take it all in." One year after making his Bundesliga debut as a relatively unknown 25-year-old, Marcel Halstenberg is now a name to note with the World Cup looming ever larger on the horizon as he strides out those next few steps on his stairway to stardom.